I’ve shot five video interviews for my documentary about “food trends and their impact on identity and the sense of belonging.” I’m focusing in on TexMex Cuisine as the first story line (not the only one) and these are two of the books that provide the background. 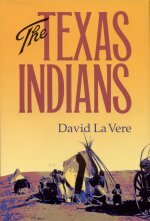 which is a thorough detailing of all the earliest communities in Texas including, thankfully, their food. 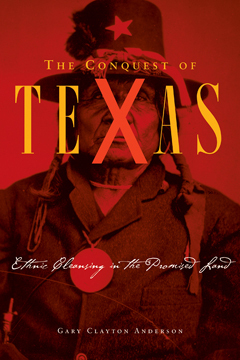 The second is by Gary Clayton Anderson,The Conquest of Texas: Ethnic Cleansing in the Promised Land, 1820-1875. A review of Clayton Anderson’s book by Jarid Manos is illuminating. Both books are reviewed by Jahue Anderson on Humanities and Science online. I’m starting to edit some of the interviews to see a general map of the food ideas. Before we get to the important contributions of the Spaniards, the Texas rangers and other European settlers with their culinary interactions with native food, we first have to be very clear about the land, people and cuisine upon which Mexico and then Texas were constructed. If you have any ideas or material that relate to these topics and would like to share them with me, please contact me and let me know. Especially contact me if you have visual material and, most of all, recipes. I’m cooking every step of the way because cooking is an integral part of this documentary.